MRI – Magnetic resonance imaging scan device in Hospital. Medical Equipment and Health Care. Hundreds of patients experienced the harmful side effects of being injected with a gadolinium-based contrast agent during an MRI. Today, many of them are filing a lawsuit to seek proper compensation. Although it was advertised a safe substance for decades, recent studies found gadolinium to be associated with severe long-term toxicity. When this metal is retained inside the patient’s body after the procedure, it causes serious damage to internal organs, bones, and even the brain. 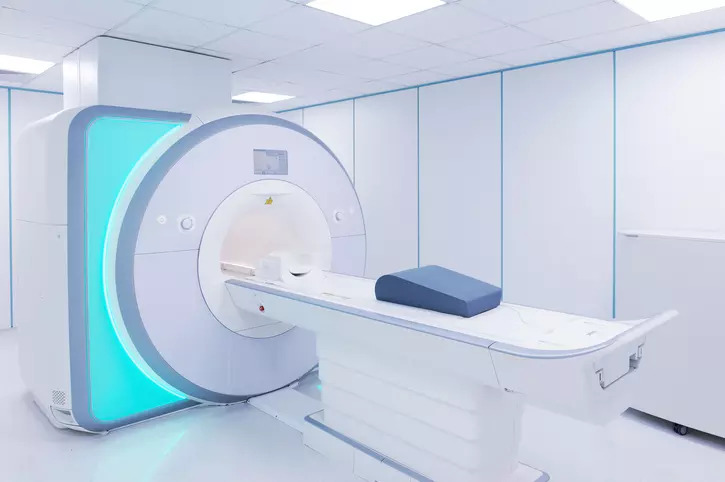 Despite its apparent risks, however, it is still used to enhance the quality of images in almost one-third of MRI (Magnetic Resonance Imaging) scans. If shortly after undergoing an MRI with contrast, you suffered from symptoms that include memory loss, brain fog, bone pain, and chronic fatigue, you may be eligible for large cash compensation. The attorneys at Jordan Law have the experience and skill to assist you during your legal battle. Call us today to receive a free consultation with no obligation. Why is Gadolinium used during MRI scans? An MRI is a medical imaging technique used by radiologists to examine physiological processes and internal body structures with great accuracy. Magnetic fields and radio waves are run through the human body to create precise images and detect health conditions such as aneurysms, tumors, and internal injuries. Some subtle anomalies, however, require an additional level of detail that a standard MRI cannot provide. In these instances, doctors inject a contrast agent composed by gadolinium and other chemicals that enhances the quality of the images. Gadolinium-based contrast agents (GBCAs) have been used on more than 300 million patients worldwide since 1998, the year when the U.S. Food and Drug Administration (FDA) first approved them. Why is Gadolinium harmful and toxic? Most of the time, the metal found in one of the nine contrast GBCAs available on the U.S. market is eliminated through urine. When the elimination does not occur in a short amount of time, though, gadolinium may cause serious damage. Patients who suffer from kidney conditions may retain this substance in their bodies for a long time causing a threatening form of toxicity. To protect them, in 2006 the FDA issued a black box warning on Ominscan and Magnevist’s labels, two of the most commonly used agents, to alert the public about a possible risk for patients with renal insufficiency. However, some years later, an ever-growing amount of adverse reaction reports was submitted to the regulator. Most of them regarded patients who had no pre-existing renal issues, showing that gadolinium was much more toxic than expected. GBCAs are associated with severe symptoms of intoxication even in healthy patients, and in In December 2017, the FDA had to issue a new public warning. In November 2017, Chuck Norris, the protagonist of “Walker Texas Ranger,” filed an MRI contrast agent lawsuit. According to the documents filed in the San Francisco Superior Court, the Hollywood action movie star’s wife Gena experienced intense pain and an excruciating burning sensation within one week after being injected with gadolinium. Her symptoms of metal poisoning didn’t fade even after being treated in a Texas hospital first, and in a Chinese one later. Still today, the woman’s life has been severely impaired by a number of issues such as constant pain and frequent muscle cramps. The attorneys of the Norris family sued the companies that manufacture the contrast agent McKesson Corporation and Bracco S.p.A. According to the claim, the corporations willfully concealed vital information about the risks associated with the substance, and failed to warn the public about its dangers. The companies that manufacture the GBCAs are not new to being sued by hundreds of people. Back in 2008, the Judicial Panel on Multidistrict Litigation (JPML) centralized many other cases in the MDL No. 1909: Gadolinium Contrast Dyes Products Liability Litigation. Gadolinium-based contrast agents were already found to be dangerous ten years ago, albeit for reasons that differ from those found recently. Even though the pharmaceutical companies kept defending their product claiming it was safe and effective, they already settled many cases after GE Healthcare was hit with a $5 million verdict back in 2013. The new lawsuits filed by plaintiffs who suffered from gadolinium toxicity are expected to be consolidated in a new mass tort soon. All companies must be responsible for the safety and effectiveness of their products at all time. Jordan Law has fought on behalf of countless victims of unscrupulous manufacturers and is here to protect the rights of everyone who was harmed by a defective drug or device. We have the knowledge and resources to maximize your chances of receiving compensation in court. If you suffered any damage after undergoing an MRI with a gadolinium-based contrast agent, don’t delay. Call us today to discuss your legal options. Together we will win this battle for justice.